Opinion: Shellfish beds are our most endangered marine habitats. Urgent action to save these vital ecosystem must be a priority, writes Professor Simon Thrush. 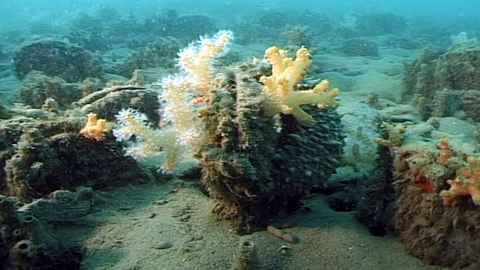 Most New Zealanders flocking to the beach this summer will be unaware of the perilous state of the marine ecosystem beneath the waves. Human land-based activities, sea level rise, disturbance to the seafloor and over-harvesting have created one of the most rapidly changing natural systems in our environment. I have witnessed this sharp decline in many locations – and I’m not alone. Many iwi and community groups around the country are equally alarmed by the decline in shellfish and other species in their traditional shellfish gathering areas. Shellfish beds are our most impacted and endangered marine habitats and the story of their decline is being repeated around the world. But these ecosystems are vital. They provide many tangible and deep benefits that support our life, wellbeing and culture. They clean our waters, stabilise the seafloor, feed fish and birds, dampen the effects of storm surge, enhance biodiversity, and remove nutrients that run off the land. Globally, more than 85 percent of shellfish ecosystems have been impacted by human activity. 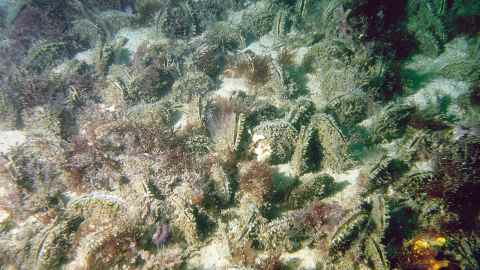 Researchers have found many oyster reefs, once common, are now rare or extinct as ecosystems. Most of the bays studied in North America, Australia, and Europe were found to be at less than 10 percent of their prior abundance with oysters functionally extinct in others (a measure of less than 1 percent of prior abundances). We scientists have noted an alarming level of shellfish loss in New Zealand’s coastal harbours and bays – and you may experience this yourself over summer as you revisit favourite shellfish gathering spots. 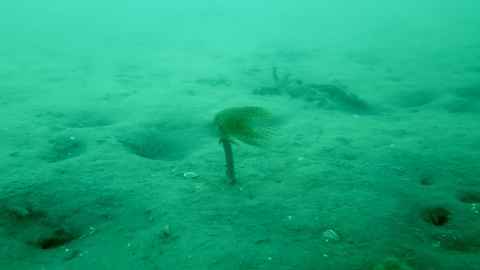 The photos below document seabed degradation in horse mussel beds in Mahurangi Harbour, north of Auckland. The photos are taken in the same place 18 years apart. This destruction, which shows no sign of recovery, has been caused by the cumulative effects of physical disturbance to the beds, elevated sediment runoff from the harbour’s catchment and a lack of recruitment. In recent years community groups and local and central government have, for example, mobilised to restore the integrity of stream margins in farming areas and create predator-free environments for indigenous flora and fauna. I believe that, as a matter of urgent priority, a similar programme is needed for the marine environment, supported by local and central government. Currently, there is no coordinated partnership activity for coastline restoration. However, concerned at the poor state of shellfish beds, several pioneering iwi and community groups have made a start in their local areas. We need innovative research to inform targeted restoration actions and streamline policies. Research should include gathering baseline data that will inform an in-depth understanding of the current state of our unique indigenous coastal biodiversity, including shellfish ecology. This research could potentially have a similar impact to that around CFCs several decades ago which led to ambitious, whole of system targets to eradicate the production of the chemicals eroding the ozone layer. Raising awareness and ensuring the public understands the risks and opportunities around our coastlines is integral to ensuring that policy makers and politicians are also seized by the importance of this issue. Scientific knowledge alone cannot ensure the success of restoring our coastal marine ecosystem, community participation and commitment are critical to ensuring the long-term success and sustainability of restoration. But for that commitment to pay off, we need to have clear and credible information on what, where and how to restore shellfish beds to maximise their contribution to the health of our coastal ecosystems. Professor Simon Thrush is director of the Institute of Marine Science at the University of Auckland. This article reflects the opinion of the author and not the views of the University of Auckland. Used with permission from Newsroom Urgent action to save marine beds published on 17 January 2019.